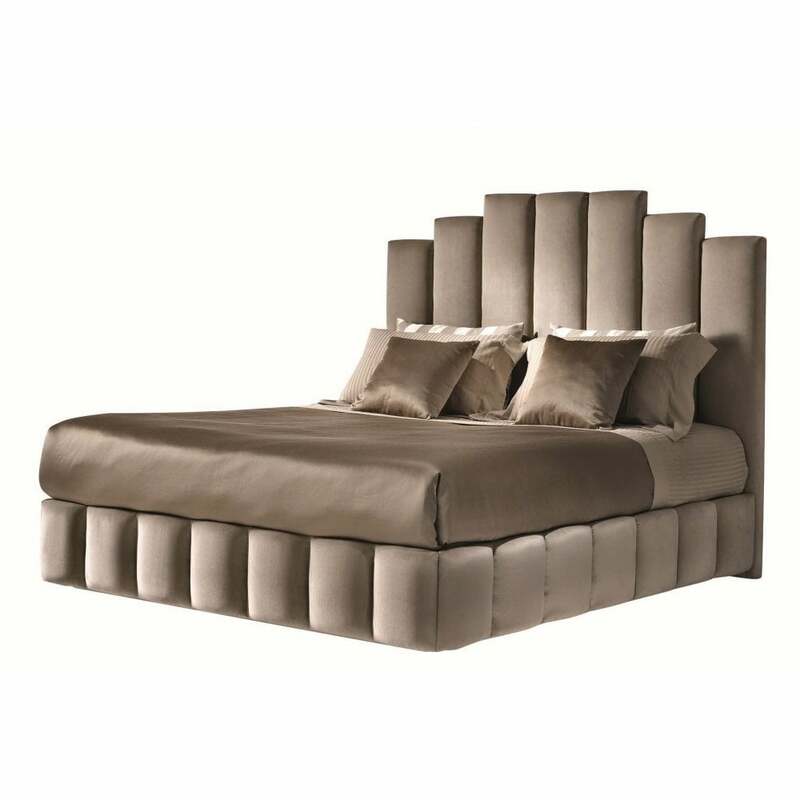 Regal styling inspires the Lord bed from the Daytona range by Signorini & Coco. Dramatic outline of the statement headboard enhances the luxury look. The headboard and base are upholstered in a padded fabric, inspired by the luxury elegance usually found in hotel interiors. Using the Lord bed within your bedroom space injects a touch of class to your interior which can be further enhanced by using co-ordinating pieces from elsewhere in the Daytona range. The Lord bed from the Daytona collection can be upholstered in a variety of coloured fabrics and finishes. Contact us for more information on the options available.